For over 20 years Evergreen Pest Management has been providing environmentally friendly pest control services throughout the Northern New South Wales and Gold Coast areas including the Tweed Coast. Evergreen pest technicians undergo regular professional pest training to ensure that the level of pest control services that they provide is of the highest standards and that their pest and termite knowledge is up to date. 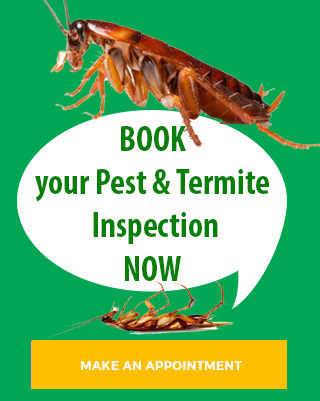 Evergreen Pest Control can eradicate all termite and pest problems in the Tweed Coast area efficiently using the latest environmentally friendly pest control processes. Evergreen Pest Management provide all pest control services. We can eradicate cockroach, ant, spider, termite and other pests from your home or commercial premises any where on the Tweed Coast including Kingscliff, Salt, Casuarina, Cotton Beach, Cabarita Beach/Bogangar, Hastings Point, Pottsville, Black Rocks, Round Mountain, Clothiers Creek and surrounding suburbs . We know that prevention is always far better than a cure, so every job is done properly the first time and if you are not completely satisfied just call us back.